Erika is one of our favourite designers and she now has the beautiful yarns to match, we stock a large variety of her books and individual patterns as well. Its a beautiful natural fibre with a beautiful drape and with naturally soften with washing. Perfect for those summer knits. We currently stock 13 colours in this yarn. Gossypium is a 100% cotton yarn, which is sourced to be a sustainable and ethically sourced yarn. It breathable and ideal for babies, the colours range beautifully from soft pastels to the vivid. We currently stock 14 colours in this yarn. 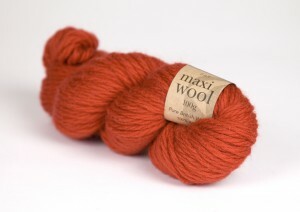 Maxi wool is a fun super chunky yarn, ideal for those quick easy winter knits. We currently stock 8 colours in this yarn.